Following the two-day transport strike held on October 16-17, PISTON will once again organize another transport strike On December 4 and 5. This is still in relation to the modernization of jeepneys. As we all know, the drivers and operators were clamoring about the jeepney phase out when it was announced by President Rodrigo Duterte. Operators perceive this to be a wrong move as drivers and operators have to shoulder the expenses for overhauling the public transportation. The two-day transport strike is said to put a stop to the government's future plan. However, the repeated strike only prompted transport chief Arthur Tugade to cancel franchises and licenses of those who will participate in the transport strike Tugade believes that protesters will only disrupt public convenience. He also added that PISTON has already been invited to dialogues, but they still preferred to hold strikes. Jeepney operators will also face legal consequences. The LTFRB has filed cases against operators who stopped jeepney operations to take their turmoil and discontentment against jeepney modernization to the streets. Although the government has previously warned protesters, none of the participants' licenses and franchises has been revoked yet. What You Need To Know About The Modernization Program? The modernization program covers jeepneys, buses and public utility vans. For the commuting public, the modernization will bring safer means of transportation as new vehicles will be equipped with CCTVs and GPs. These devices will monitor both passengers and drivers. The vehicles will also have speed limiters, and safety officers will also be assigned. Although jeepney drivers are not in favor of the modernization, the program will also make way for receiving monthly salaries and benefits. What's in it for them? The sight of drivers competing against each other to get as many passengers as possible will hopefully be reduced. Once OFG will be issued, existing franchises will continue to operate for a maximum of three years. The transition period will also be a time for operators to apply to operate in new or modified routes. Do you need an attorney in Manila, Quezon City, Cebu, Davao or somewhere in the Provinces? 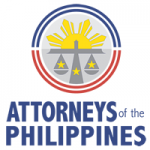 Attorneys of the Philippines provide a free public service to help you locate the attorney you need, right in the place that you need their help. Just browse our find an attorney search engine and you’ll find thousands of lawyers, each ready and able to help you with your legal problem. Copyright 2019 ROI Media. All rights reserved.